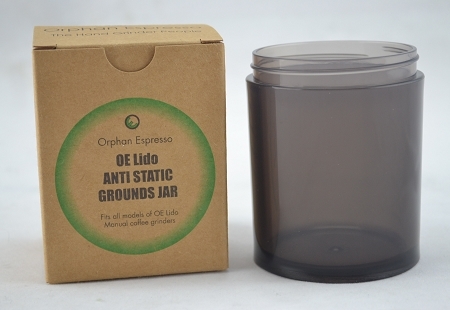 Static Dissapative Plastic replacement grounds jar fits all OE Lido coffee grinder models. The jar is made of RTP (Permastat) BPA Free ABS Plastic, and has a medium dark tint. It is the same size, and capacity as the original 8oz glass jar. Wholesale pricing available, sold by case of 12.